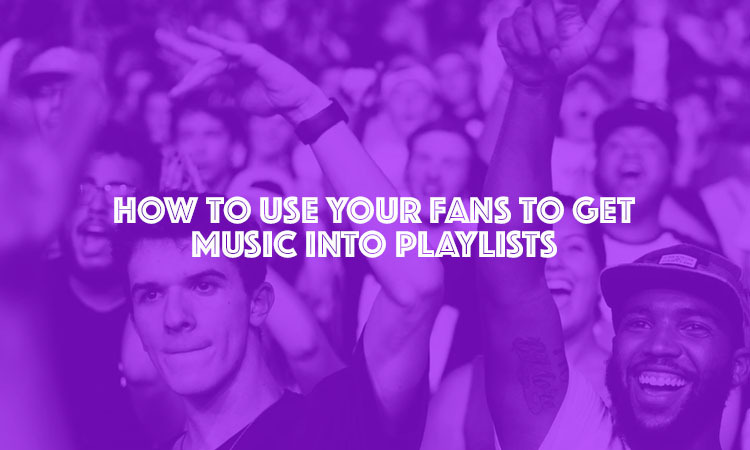 We all know getting your music into curated playlists is key for music promotion but did you know your fans own playlists can really make the world of difference. 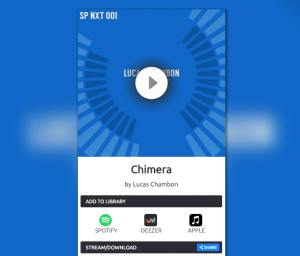 Fans stream the music in their own playlists and library more than anything else and the Spotify / Deezer algorithms take all of these playlists (even if they have 0 followers) and all the listener data into consideration when surfacing new tracks in important playlists like Discover Weekly and Spotify Radio. Your fans will listen to music a on a variety of different platforms, that is why music smart links are so important but just sending them a link to your music on different platforms isn’t enough to get those vital playlist adds..
Thats where Soundplate Clicks comes in, a free service where you can create special smart links that include buttons for adding your music to playlists on Spotify, Apple Music and Deezer. 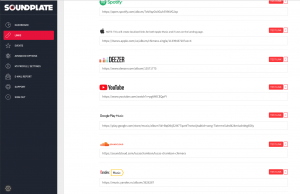 These links can be shared on your social media, in your newsletters and even embeded directly into your website (example below). Allowing users to add music to their playlists or library directly from the smartlink vastly improves your chances of being added to more playlists, it also means you can track your fan engagement and growth. Spotify Users will also be asked to follow your artist account when they add a track to a playlist meaning you will appear in more release radar playlists the next time you release a track. You can even ask your fans to add music which has not been released yet using the pre-save functions. How Do I Create a Smart Link for my music? Click ‘create a new link’, a few clicks later your smart link will be generated. Grab the short url to share it with your fans, generate a QR code to include the link on physical posters and flyers or grab the embed code for your website. You can now get in-depth reporting about your link performance, playlist adds and more.